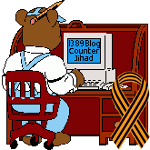 The Dreaded ‘N’ Word — 1389 Blog - Counterjihad! Wisconsin –-(Ammoland.com)- Paula Deen the cooking show host on the Food Network has been fired for her use of the dreaded “N” word. She admitted under oath, after being held at gun point during an armed bank robbery by a black man, she did indeed use the word in recalling the crime to her husband. It would not surprise me if she had used the dreaded “N” word a few other times in her life. But admitting she did use the word almost 30 years ago is what got her fired. I am a Yankee by birth, I have however spent almost a third of my life living in the south. I attended high school in Virginia and South Carolina during the pre-integration days. It was not however until I got to North Chicago High School, in North Chicago, Illinois that I really started hearing the dreaded “N” word used. North Chicago High was about 30 percent black then and these students used the word on a regular basis, I guess in what they considered a positive way. The white kids used it in a negative way. Of course most did not have the guts to actually use the word in the presence of a black student. My father the Navy Master Chief was not going to have any of it. You perhaps have heard the saying “swears like a sailor”? Well that was not my father. The first time I heard him swear was when I was sixteen and he smashed his thumb working on my car and I was shocked. If someone used the dreaded “N” word in front of the Master Chief, he put a stop to it. 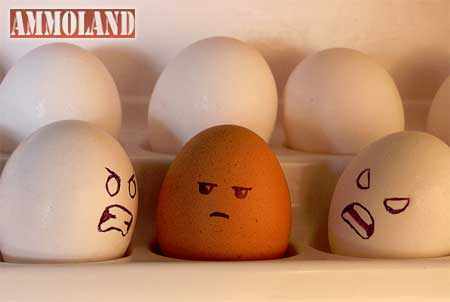 I still remember the looks on some of the local white civilian friends when my dad told them to knock it off. Thirty plus years later I was teaching high school in Aberdeen Mississippi. The student population was approximately 95 percent black. “Mother F-er” and the dreaded “N” work was all the rage in the halls and classrooms of Aberdeen High School. Due to years of conditioning by the Master Chief I found this offensive and I told my students so. They advised me to get over myself. It is a cultural thing and OK for blacks to use the dreaded “N” word. Of course in the same breath they would warn me I had better not ever use the word. My vice principal of discipline told me never to bring another child into his office again over their swearing issues. In fact what he said was these students will wear you out over this dreaded “N” word usage. So I just stopped worrying about it. Like they did to Paula Deen in a civilian court, my concern for Military members is asking about their actions and attitudes in the past. Are they going to be held against you in your future promotions and job assignments? A hypothetical example being the case of Chaplain / Lt Col Jones, who is of a faith, which does not believe in gays in the military or gay marriage. Since gays were openly admitted to the military, he has kept his mouth shut on that issue. Now Chaplain Jones is up for promotion to Colonel. He is directed by his reporting supervisor to discuss his past feelings and opinions on gays. These opinions were addressed when it was illegal to be gay and in the military. Tragically in today’s environment will it now be held against him at promotion time? I went to Infantry school. How many males in direct combat career fields will suffer professionally in the future after women become Seals and Rangers? Will their past opinions against having women soldiers on the front lines of battlefields be held against them in the future? I would suggest that the expression “I don’t recall” (the one that so many politicians use under oath) will become the mantra of the future politically correct military officer and career NCO. If they can put you under oath and ask damning personal questions about your life’s attitude on issues in your past that were not illegal, but are now out of favor in society, many careers are going to falter and even fail. The US military is the most level playing field for employment in this country. Nowhere can a minority or anyone get the equal treatment of pay, training, promotion and job assignments that they can have for the taking (presuming you qualify as all must) than in the Department of Defense. I truly hope current political correctness does not damage the future of the men and women who bet their lives when they volunteer to serve and protect America. Next post: “The United States has become a tool of Muslim Brotherhood expansionism.” Ya THINK?